So any shape of card etc..... as long as it's not square. So what's everyone been up to? Anything fun? Yesterday I dusted, did some washing and sat and sorted out all the receipts and outgoings all afternoon - such fun. Here's hoping today will be a good day for me and you. This is lovely Debbie. I think I'll have to have a go at this shape myself! Thanks for joining in the shaped cards challenge at Incy Wincy Designs this week. 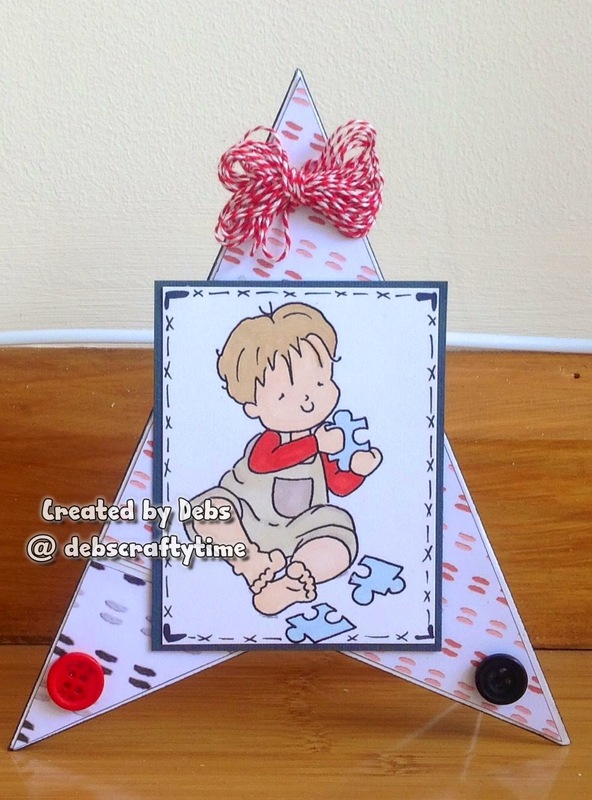 This is an adorable card Debbie, such a sweet image and fabulous design.